The UA Ruhr Graduate Centre for Development Studies is a collaboration project between the Institute of Development Research and Development Policy (IEE), Ruhr-University Bochum, the Institute of Political Science (IfP), University Duisburg-Essen and the Institute for Development and Peace (INEF), University Duisburg-Essen. Major features of the Centre are the interdisciplinary approach to development issues and the international focus. 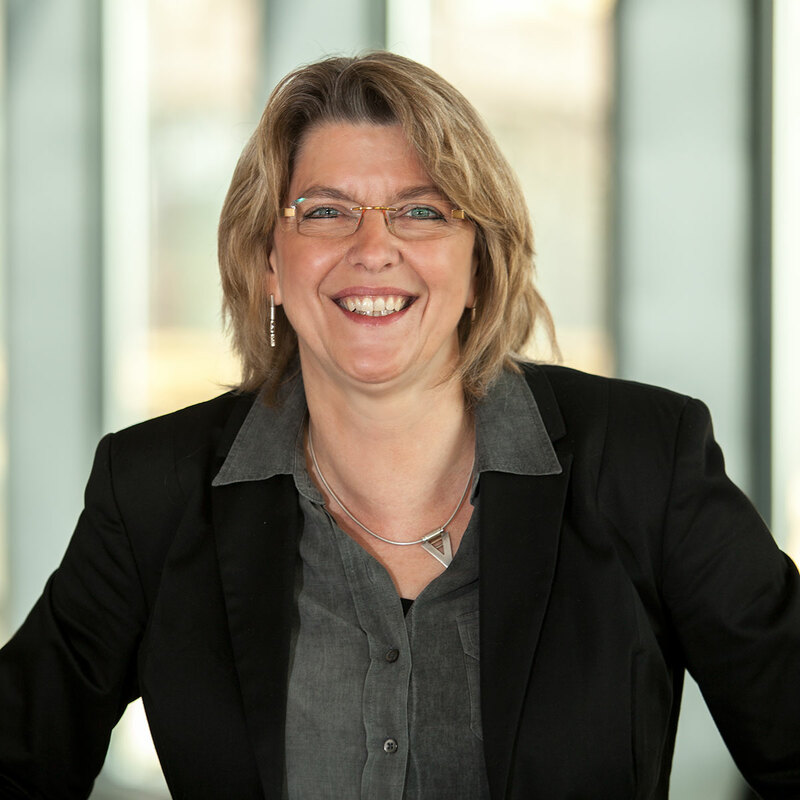 Complementary specializations in political science, economics, sociology and law benefit cooperation activities in research and postgraduate teaching. 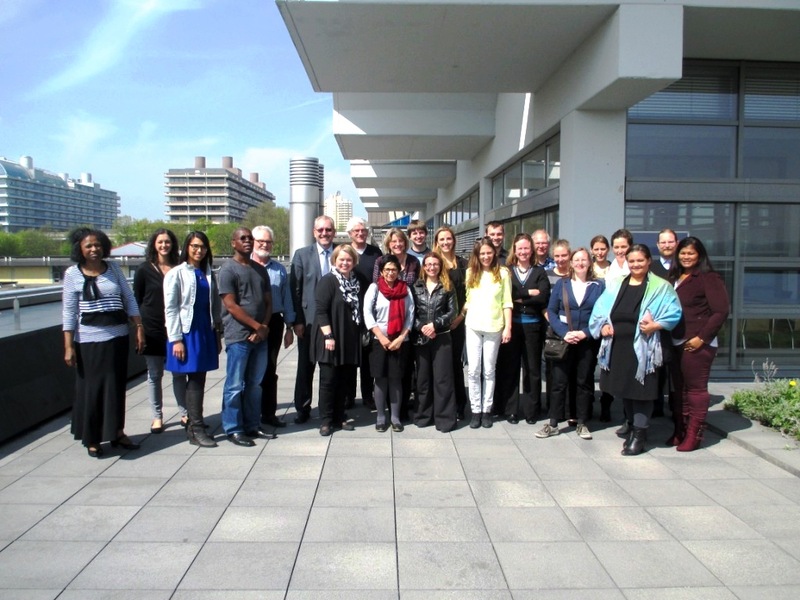 Joint cooperation links with international partners have been established for the PhD Conference on International Development and the Erasmus Mundus Action 2 project EUSA_ID. The Call for Abstracts is now open (PDF download). After the Welcome Addresses by Prof. Wilhelm Löwenstein, Managing Director of the Institute of Development Research and Development Policy and Vice Rector of the RUB and Prof. Julian May, University of the Western Cape (co-coordinator), Britta Niklas and Dr. Gabriele Bäcker (coordinators) presented the different items of the agenda and all partners of the consortium discussed their experiences and future activities concerning staff and student mobilities and joint training and research with very promising results! 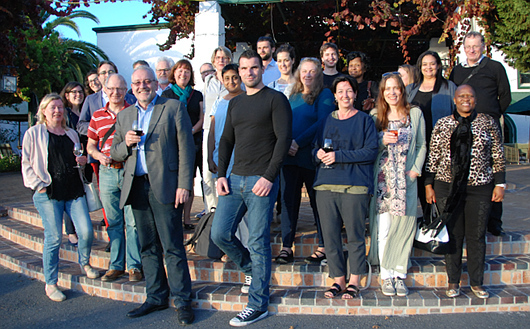 On 23th April the selection committee selected as well the grantees for the second cohort. All applicants will be informed in short about selection results. Please find more information about the EUSA_ID mobility programme here. 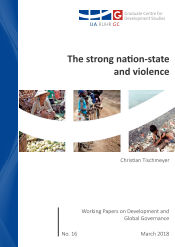 Christian Tischmeyer (2018): The Strong Nation-State and Violence. The Strong Nation-State and Violence. - 78 S.
Our world is still massively violent. This is in harsh contrast to Elias' civilisation process, implying ever more peaceful conduct as modernity manifests. The very organisation he designates for pacifying society, the modern state, is itself central cause for ongoing violence. In fact, most of modernity's notorious massacres, genocides, and ethnic cleansings could not have been committed by lesser organisations than strong states. I seek to explicate this connection, using an historical-institutionalist approach, from a perspective critical of established orders. Modern statehood will be conceptualised as ascribed status, depending on external demands f rom an ‘international community’. This ascription is based on existence of five sets of institutions, or dimensions of state activity. A state is considered strong when perceived to perform effectively in the dimensions of monopolising the military draft, direct taxation, bureaucratic organisation, promotion of formal economy, and keeping internal order. As meeting these conditions depends on direct rule, strong modern states are necessarily nations. Using an actor-centred concept of violence, I assess the violence necessary in creating and maintaining such orders. I conclude that nation-states have an institutional disposition towards mass-violence. Thus one has to think beyond this political order when seeking less violence. 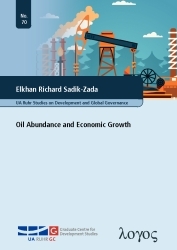 Elkhan Richard Sadik-Zada (2016): Oil Abundance and Economic Growth. This book deals with the role of oil abundance in economic growth. The major theoretical contribution of the analysis is the transformation of the rentier state theory into the language of mathematical economics. The mathematical formalization of the rentier state theory enables a more sophisticated analytical tool for the assessment of the role of nonrenewable resource revenues in economic growth and institutional dynamics. The embedding of the elements of a rentier state into the labor surplus economy framework leads to grave consequences as reflected in the quantitative part of the survey. The augmented labor surplus economy model shows that both the political economy and the purely economic causes of the resource curse can have similar effects on the resource allocation in the affected nation. 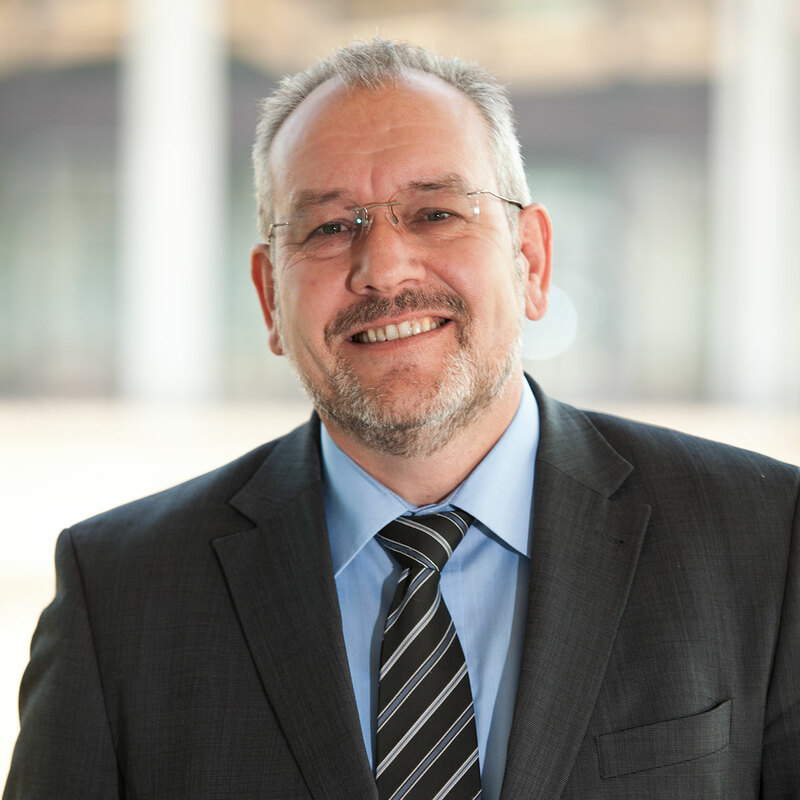 Hence, it is not possible to use econometric tools to compartmentalize the effects of the Dutch disease and those explanations based upon political economy. This is the reason why one can only estimate the total growth effects of oil revenues. Besides cross-country panel estimations, a case study of Azerbaijan provides additional insights into petroleum based economic development. These international panel and country specific estimations are partly based on the two sector model of economic growth. In the case of Azerbaijan, a vector error correction model, which is based upon the behavioral model of the equilibrium exchange rate, is applied to detect the Dutch disease tendencies. 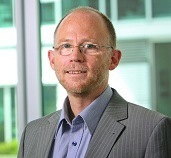 The UA Ruhr Graduate Centre is part of the University Alliance Ruhr.